I often have the opportunity to take a ‘hands-in-pockets’ tour of a laboratory or facility during the course of visits to world-class research institutions. ‘Hands-in-pockets’ means that you can look must but you must not touch anything or take photographs. Some of these tours are more exciting than others; one very fast computer looks very much like another and one very expensive microscope looks very much like another. However, a couple of weeks ago, we visited the library of Christ Church Oxford for five minutes and there, to my amazement and delight, lying almost casually on a table were first editions of two of the books that form the foundation of modern science. 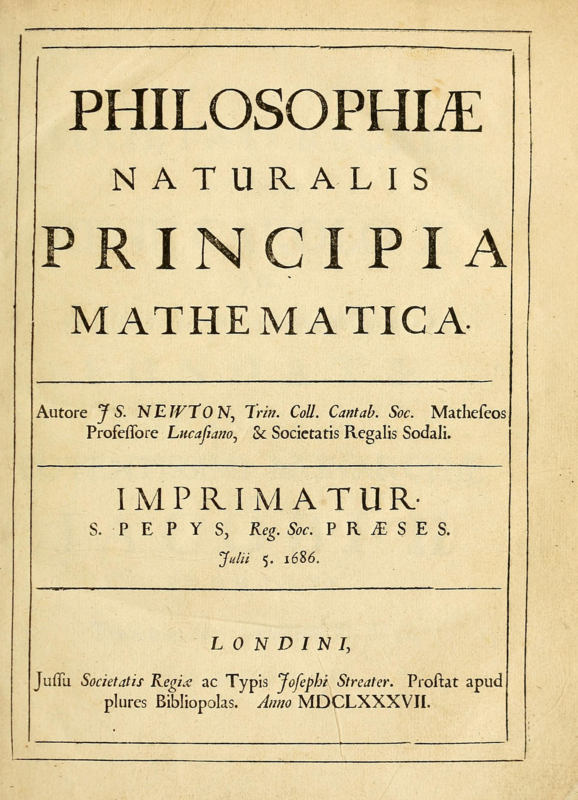 Isaac Newton’s ‘Philosophiae Naturalis Principia Mathematica’ published in 1687 and Darwin’s ‘On the Origin of the Species’ published in 1859. Now, we understood why the librarian had been reluctant to let us take a peek. My hands stayed firmly in my pockets but the temptation to turn the page of the Origin of Species, which was open, or to open Newton’s great work was huge. Instead, we walked slowly around the room, which besides us and a skeleton of a horse was empty, soaking up the atmosphere. We left quietly, thanking the librarian at the bottom of the stairs for letting us take a peek. I didn’t discover why they have a skeleton of horse in the library with their great collection of books – I didn’t feel I could ask the librarian as we left! This entry was posted in Soapbox and tagged Newton, Darwin, library, horse on April 17, 2019 by Eann Patterson.